Join the network, Homes made for birders. Bed and Birding is a franchise company that licenses partners to use its branded identity and materials to market their services to birders. The company undertakes assessments of potential partners, provides training and know-how where necessary, maintains a corporate web site where all the partners are featured, and assists. At the same time, we provide a service to potential clients of the network, helping them to select locations (where they want to see particular birds or develop a national or cross-border itinerary) and make bookings with our partners. Clients know that staying in a Bed & Birding partner will assure them of their birding needs. Not only would your lodge be linked within an organisation of like-minded partners, but there are also strong commercial reasons for joining us. These include independently verified standards, and high-profile publicity for your accommodation. Your lodge will be listed in our web site with a direct link to your site and you will be able to update your own information and photographs. We are looking forward to receiving your application to join the Bed and Birding network, and provide another Home Made for Birders! We would be able to take bookings for your place during Birdfairs? 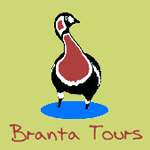 We also offer subscription discounts for group applications where two or more accommodation owners from the same country wish to join Bed and Birding en bloc, or if an applicant wants to register more than one accommodation. The discount applies to the individual rate of each applicant. A separate application is needed for each accommodation. Each member of the group will still get their own page on our web site, and the discounted rates will apply annually provided all the group members remain in the network. Welcome to stage 2 of 3 of your application: Bed and Birding partner information. Please tick each feature that your accommodation offers in the table below. The overall score and category will be determined on the basis of evidence provided for the features present or available (from your photographs, web site or our own site visit). Please upload seven good quality photographs (ca. 1 MB) of your accommodation, as well as any good photographs of local birds and natural sites, for your gallery page on the BedandBirding web site. Welcome to the third and final stage of your application: Bed and Birding contract and payment. Please enrol me as a Subscriber Member of Bed & Birding. Please send a copy of the payment advice to Bed & Birding. Each member of the group will still get their own page on our web site, and the discounted rates will apply annually provided all the group members remain in the network. Please note that group applications will not be processed until all the applications mentioned in Part 1 have been received. Click this button to submit your application. You will receive a confirmation email for your application containing a link to the PayPal payment page. Thank you for your application.